Some people tend to save money so that they can buy a better lens to replace the kit lens they got with their DSLR camera. On the other hand, some people like to add a second lens to get capabilities that they don’t get with their kit lens. That’s what the Nikon 55-300mm f/4.5-5.6G ED VR AF-S DX Nikkor Zoom Lens is for. 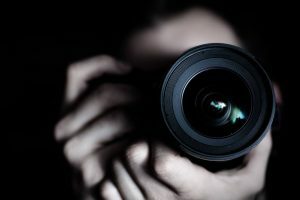 It’s to complement the typical kit lens on Nikon DSLR cameras, because people usually get the 18-55mm kit zoom lens as part of their DSLR purchase. The question remains, however: should you actually buy this as an addition to your kit lens? After all, it’s not exactly cheap, though its price is still reasonable given the cost of other excellent Nikon lenses out there. So, it’s really a question of whether you’re getting good value for your money. This is a DX-format telephoto zoom lens. This means it can also work with FX cameras, as long as it’s in DX crop mode. The zoom ratio is 5.5x. That’s rather good in a telephoto lens. The 0.28x maximum magnification means that it can make small things look fairly large. This has a minimum focus distance of 4.6 feet. This uses a High Refractive Index lens with a super integrated coating that offers nicely sharp contrast in your images. The autofocus comes with the Silent Wave Motor feature. This ensures that your autofocus works without making too much noise. This measures about 4.8 inches long while it weighs 18.7 ounces. You get the VR (vibration reduction) feature here, which is the term Nikon uses for image stabilization. With this feature, you can slow down the shutter speeds by 4 speeds and still be able to use just your hands and not a tripod. This lens also has the tripod detection mode, which minimizes the vibration that may still happen when you’re using a tripod. Usually, you may end up with vibration during the shutter release, but this feature reduces that problem. It uses 2 Extra-low Dispersion elements (that’s the “ED” in the name) that also reduce chromatic aberration. This is the optical problem that refers to when you have strange colored edges around certain items in your image. It makes you picture look strange, as if the subject brushed near a newly painted wall. It is quite lightweight for a 5.5x telephoto lens. So, it’s not especially burdensome to use it all day long. The build quality is fair, with the optical elements made of premium-grade glass. You’ve got the proper ridges and width for the zoom ring and you won’t have any trouble with “zoom creep”. That’s when your lens barrel extends when you point it downward (or shorten when you point it upward). The zooming action is actually smooth. Though it does have a lot of plastic, luckily, the lens mount is made of metal. The lens mount also has a rubber seal for basic dust protection. Nikon doesn’t really promote this as a macro lens, but its close-up work is actually good. An object as small as 84mm by 56mm can fill up your entire frame. This provides a terrific “bokeh” effect, which makes the blur of the out-of-focus background look great against your sharp subject in the foreground. The sharpness of the images, especially in the center, is extremely good at most of the focal lengths. This even includes the 300mm focal length where many other zooms of this kind have problems. Light falloff (vignetting) isn’t a problem, and for the most part chromatic aberration isn’t either. The autofocus works without making a lot of noise. Perhaps the most notable issue here is that this offers the slowest focus you may find in any AF-S lens. This can be a real problem when your subject is moving a lot, and that means you can’t take pictures of your kid playing football when the play has started. You’re only able to take pictures right before the snap. Yes, there is VR or image stabilization. However, it does seem to take a while to actually take effect. This Nikon 55-300mm f/4.5-5.6G ED VR AF-S DX Nikkor Zoom Lens is for those who want to buy an inexpensive zoom lens while still getting great optical performance. 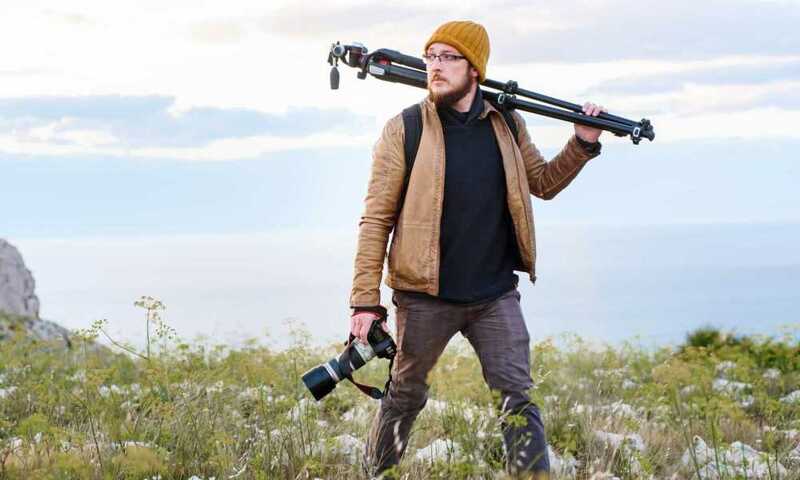 It’s a great addition to your 18-55mm kit zoom lens, and together those lenses can provide you with lots of good images that you can further improve through software. Bring this along when you’re hiking and you want to take snaps of the great view, or when you’re on vacation and you want to take a snap of a spectacular cathedral.